Patrick Reed listens to wife Justine. And with good reason: She's carrying his clubs. 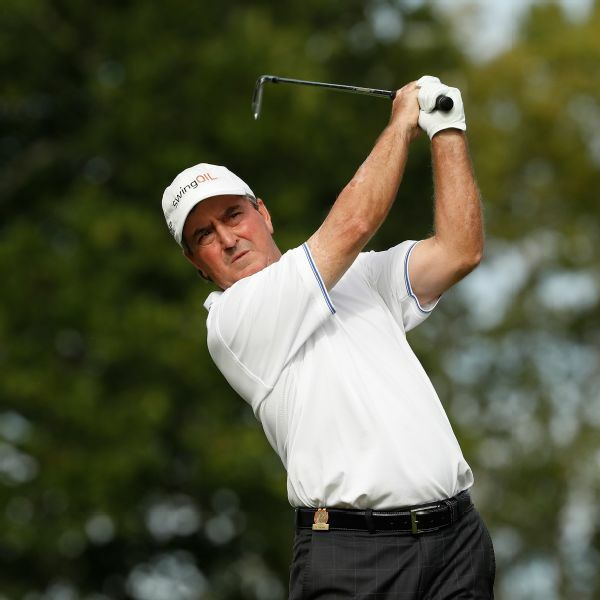 Gene Sauers and Miguel Angel Jimenez top the leaderboard after the second round of the Regions Tradition, the first PGA Tour Champions major of the year. 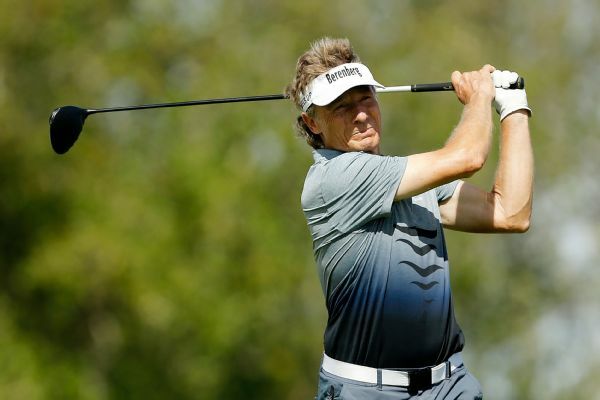 Bernhard Langer made himself right at home in the Oasis Championship. 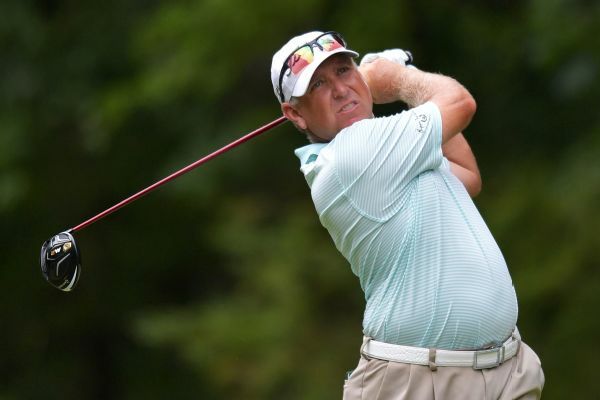 Scott Parel, 53, winless on the senior tour, birdied four of his last five holes but bogeyed the 18th to finish in a tie with Tom Pernice Jr. and Kent Jones in the first round of the PGA Tour Champions' Boeing Classic. Nick Watney and the resurgent Sergio Garcia share the lead at The Barclays going into the weekend. 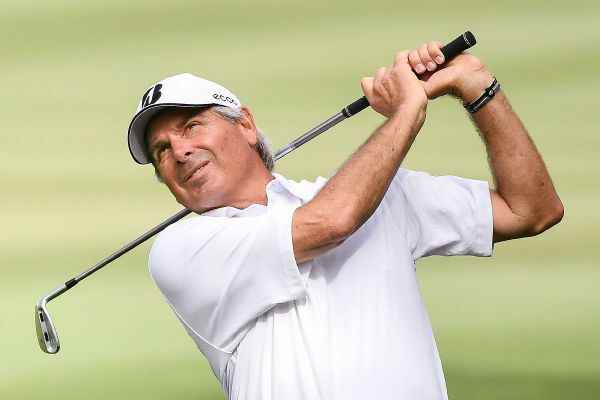 Fred Couples shot an 8-under 65 on Friday in the Tucson Conquistadores Classic, leaving playing partner Steve Stricker two strokes back in his PGA Tour Champions debut. John Huh shot an even-par 70 on Saturday for a share of the lead with Patrick Reed after three rounds in the Wyndham Championship.